Through her role as Ambassador, she will help promote The FBA’s Professional Master in Football Business whilst doing the program herself. By doing so, she seeks to develop her understanding of the football industry and, eventually, transition to use her experience on the field to help the development of women’s football. The program involves candidates from all around the world and covers a comprehensive array of subjects such as financial strategy, sponsorship, fan engagement, governance, and women’s football development, an internship, networking events, field trips, and a student business project. 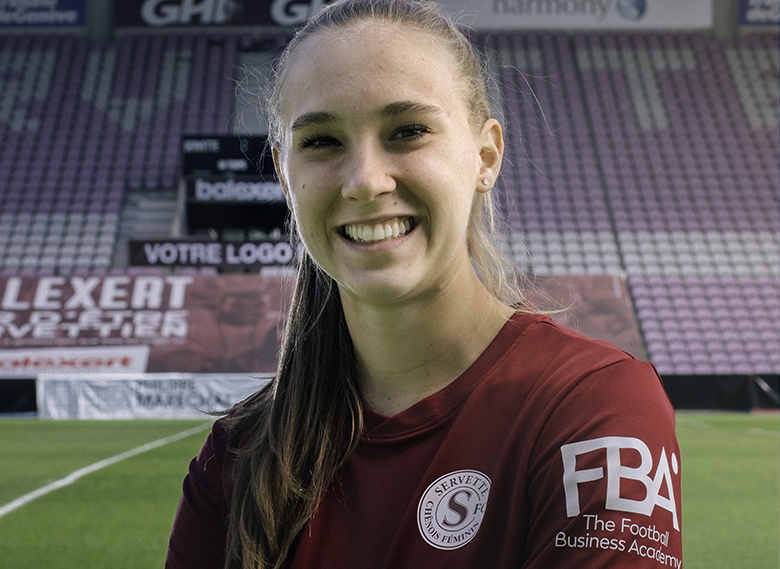 Nicole Regnier is a Colombian professional football player currently playing for Servette FC Chênois Féminin as well as her country’s national team. Aged 23, she has played previously for CD Atlas, Atlético de Madrid, Rayo Vallecano, América de Cali, and Junior de Barranquilla. The Football Business Academy is a Swiss-based high level international educational institution which was created to professionalize the management of the football industry and facilitate the insertion of qualified professionals and future leaders in the game. Its flagship programme, a Professional Master in Football Business, has been co-developed with international football industry experts from around the world around one foremost objective: to provide candidates with all the necessary tools and an optimal learning environment in order to succeed in this passionate and dynamic industry. Partners of The FBA include Benfica, Olympique Lyonnais, Soccerex, Girona FC, ESSMA, and Common Goal.